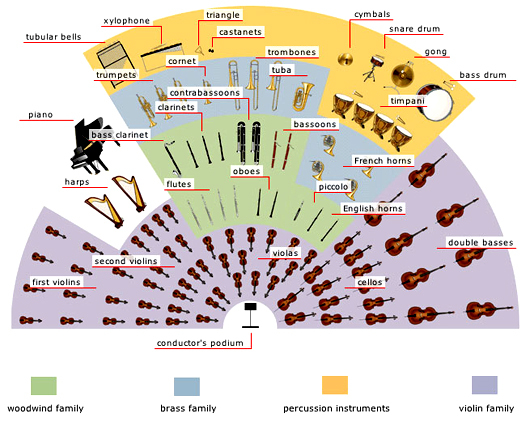 The following overview of Mahler's First Symphony is made up from a selection of excerpts taken from the comprehensive articles found in the navigation table at the bottom of the page. The Leipzig Opera House where Mahler was working during the creation of his First Symphony. Mahler’s symphony No. 1 was composed while he was working as second conductor at the Leipzig City Theatre where he worked from August 1886 to May 1888. Although there is conflicting evidence regarding the period in which Mahler wrote his first symphony, the majority of resources suggest that he composed the bulk of the work in an intense creative burst between the 20th January and the end of March 1888. 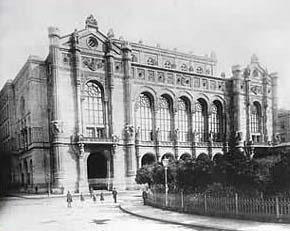 Mahler premiered his first symphony in the Vigadó Concert Hall, Budapest. Mahler conducted the premiere of his first symphony with the Budapest Philharmonic Orchestra in the Vigadó Concert Hall on Wednesday 20th November 1889, eighteen months after the work's completion. The premiere was a debacle: Mahler had presented the audience with a programmatic symphonic poem, yet no explanatory program notes or descriptive titles were provided to assist the listener's interpretation of what the music was portraying. This caused much confusion and annoyance among the audience, which were particularly bewildered by the extreme and dramatic change of mood established by the funeral march. Following the symphony’s failure at the Budapest premiere, the work was left untouched for three years. Mahler began making revisions to the symphony in Hamburg between January and August 1893, where he conducted this version of the symphony on Friday 27th October 1893. This performance proved an overall success; receiving largely positive reviews from the critics. Mahler made further changes to the program notes for a performance at the Saxon Court in Weimar, as a part of a music festival organised by Richard Strauss. The performance received a mixed reaction, as evidenced by a letter from Mahler to a friend: "My symphony was received with furious opposition by some and with wholehearted approval by others. The opinions clashed in an amusing way, in the streets and in the salons!". Mahler conducted a fourth performance of the symphony on 16th March 1896 in Berlin. Along with the removal of the second ‘Blumine’ movement, Mahler discarded all programmatic aspects of the work, instead opting to present it as ‘absolute music’ with the simple title: ‘Symphony in D Major’. The first three performances of Mahler’s symphony No. 1 contained a serenade-like second movement titled Andante or ‘Blumine’. This movement received harsh criticism and was later removed from the work by Mahler after its third performance in Weimar, also being omitted from the first publication in 1899. Mahler’s first symphony has been played as a work of four movements since the symphony’s fourth performance at the Berlin premiere which took place on 16th March 1896. The first three performances of Mahler’s first symphony were presented as a work of Programme music. 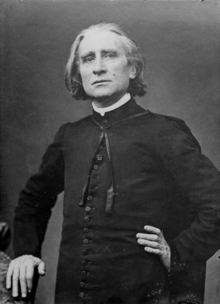 Programme music was first introduced by the Hungarian composer Franz Liszt, describing music that aims to tell a story, illustrate literary ideas, or evoke pictorial scenes. Mahler described the work as a Symphonic Poem for the premiere performance, “Titan” a Tone Poem in Symphonic Form for the second, and more simply as a Symphony with the additional title of “Titan” for the third performance. From the fourth performance onwards, Mahler dropped all program notes, describing the work as simply: Symphony in D major. 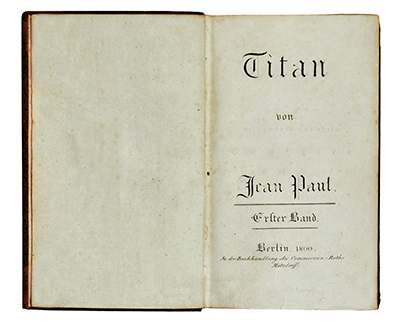 First Edition of Jean Paul's work: Titan. Mahler chose the title “Titan” as a reference to Jean Paul’s great novel of the same name. “Titan” was included in the title of the symphony’s second (Hamburg) and third (Weimar) performances, after which it was permanently removed. How significant the relationship between the program, Jean Paul and specifically his novel Titan remains a question open to debate. There is however, no doubt that Mahler was a great admirer of Jean Paul’s works: literary references can be found between the program notes and Jean Pauls’ novels. The Hunter's Funeral Procession title: ‘Gestrandet! (Totenmarsch in Callots Manier)’ for the third movement of the Weimar version refers to an old folk story that was well-known among Austrian children in Mahler’s time. The story’s narrative is told through the eyes of forest animals written in a jocular character. It tells of the the burial of a hunter whose funeral procession is composed not of humans, but wild animals, including a bear, foxes, hares, a wolf, cranes and partridges, song-birds. The animals seem to derive great joy from the occasion with rabbits leading the procession holding banners and music been sung by all the animals, accompanied by the musical cats and a group of Bohemian musicians. Mahler finally decided upon the above titles for the Symphony’s publication in 1899. The published version of Mahler’s first symphony consists of a four movement symphonic structure. Previous structures of the symphony can be viewed here. The first movement is in modified sonata form, the second is a scherzo and trio based on a ländler (folk dance in ¾ time), the third is a slow funeral march and the fourth serves as an expansive finale incorporating material from previous movements. Traditionally the second movement should be the slow movement followed by the Minuet-Trio, Mahler reversed this order for his first symphony. The additional Blumine movement was originally the second movement before its removal. The keys for the movements are as follows: D major for the first movement, A major for the second, d minor for the third, f minor for the last with a grand finale ending in D major. The symphony is scored for a large orchestra consisting of approximately 100 musicians. Unlike his later symphonies, Mahler does not use the entire forces in every movement. Several parts are used in the last movement only, especially in the woodwinds and brass. 1889 – 20 November, World premiere: Budapest, Budapest Philharmonic Orchestra conducted by the composer. 1893 – 27 October, German premieres: Hamburg, conducted by the composer. 1894 – 3 June, Weimar, conducted by the composer. 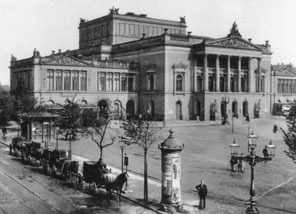 1896 – 16 March, Berlin, conducted by the composer. 1899 – 8 March, Frankfurt, conducted by the composer. 1898 – 3 March, Czech premiere: Prague, conducted by the composer. 1900 – 18 November, Austrian premiere: Vienna, conducted by the composer. 1903 – 21 October, English premiere: London as part of a Proms concert, conducted by Henry Wood. 1903 – 25 October, Dutch premiere: Amsterdam, with the composer conducting the Concertgebouw Orchestra. 1909 – 16 December, American premiere: New York City, conducted by the composer.